On the evening of August 21, Zhengshun Jing, general manager of Tesla in China, announced the news on his micro-Bo that Tesla Model S in mainland China formally accepted reservations. The price haven’t determined yet, but is expected to be 60-85 million. According to media reports, Tesla located in the downtown area of ​​Beijing Parkview Green shopping center layer of about 800 square meters of rented storefront, plans to build the world's largest store. 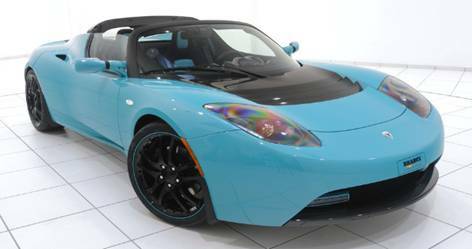 Tesla electric car in the automotive industry is as famous as Apple phone in smart phone industry and it gives people a new driving philosophy. Tesla fans can finally walk away from the computer screen, and a close encounter of the Tesla. 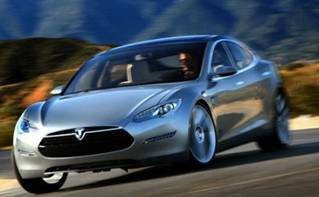 Tesla’s advanced electric power train delivers amazing performance. Unlike the internal combustion engine, the Tesla motor has only one moving piece: the rotor. Model S Performance accelerates to 60 miles per hour in 4.2 seconds without a drop of gasoline, which takes electric performance to the next level. It achieves the efficiency thanks to its unique power train design. “By any measure, the Tesla Model S is a truly remarkable automobile.” Tesla Model S was named 'Car of the Year' for 2013 by Automobile Magazine. “This is one amazing car. I mean hard-core amazing.” -- The Wall Street Journal. The Mobile Connector comes with two standard adapters that plug into both 110 volt household outlets and 240 volt outlets. A Tesla owner’s primary charging solution is often a 240 volt outlet. Tesla battery can maintain consistent temperatures by liquid-cooled; it is a rigid, high-performance structure and designed for safety. In the event of a crash, the battery will automatically disconnect the power supply. From the moment you open the door, you can see the high-resolution Tesla Model S touch screen. Electronic Power Steering automatically reacts to driving conditions to stay comfortable and responsive at all speeds. You'll feel constantly connected to the road for the precise feedback. Like all electronic devices today, you don’t need to visit a service center to update your software and get new features. You can upgrade your car in your driveway. “Tesla Model S epitomizes efficiency, embodying the grace and performance of a world-class athlete. Its sculpted form expresses a constant state of speed and motion.” said Franz von Holzhausen, the chief designer of Tesla Model S.